Devoid Of Culture And Indifferent To The Arts: Recipe: When life gives you Blood Oranges... and a recipe! 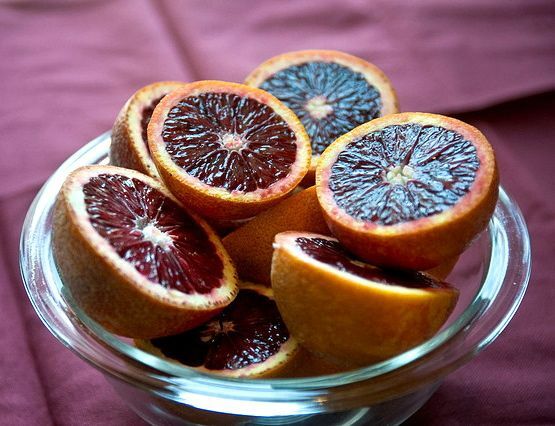 Recipe: When life gives you Blood Oranges... and a recipe! 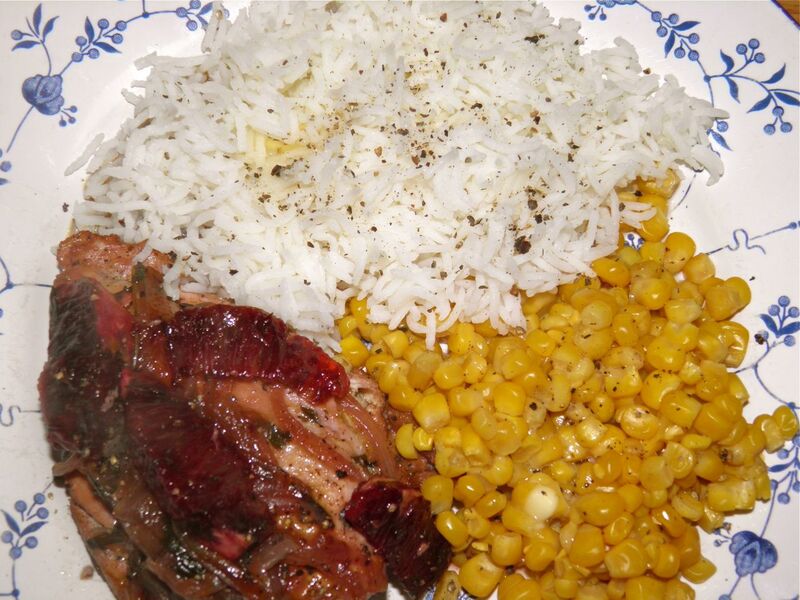 The inspiration for this recipe came after discovering blood oranges on sale at one of the local groceries. If you’ve never had a blood orange you’re missing something special. A blood orange is a type of orange that has dark red flesh, rather than orange. This is caused by the presence of anthocyanis pigment, which is uncommon in citrus. Anthocyanis is the pigment that gives most red plants their colour. Blood oranges develop their dark colour by maturing in areas that have cool nights. When fully ripe, the red colour often extends to the rough outside peel giving sort of a beaten and bruised look. Buy worry not. That's what you want! The taste, although citrusy, is very unlike that of other oranges. If pressed, I would have to say they have a “berry” flavour. The darker the flesh, the more pronounced the berry taste. The oranges I bought were almost black. So I had to do something special with them. So what does one make? How about…. Heat the olive oil in a frying pan that you can cover with a lid. Season the chicken breasts with salt and lots of cracked black pepper. Sear the chicken breast until they release naturally from the pan. Flip and repeat on the other side. Remove the chicken, cover and let rest. Add the onion to the pan and sauté until softened. Add the Grand Marnier to the pan to deglaze. Pour in the chicken stock, juice of 3 blood oranges and the tarragon. Simmer until reduced by half. Add the chicken breasts back to the pan, cover and let simmer for 5 minutes. While the chicken is simmering, peel and segment the remaining two oranges. This includes removing the membrane that covers each segment. Cut each segment in half. Set aside. After 5 minutes, remove the chicken from the pan. If you think there’s still too much liquid, boil for a short time to reduce. You should have a generous 1/3 cup, plus the onion. Add the orange segments to the sauce and allow to heat slightly. Then turn off the heat. Stir the honey into the reduced sauce. Then stir in the butter. Adding the butter gives "body" to the sauce. Taste for salt and add if necessary. Serve the chicken topped with the orange and onion sauce and more black pepper.